We're part of their story. Advertisement used within the Bigsound Festival programme for Bettercup, who provided reusable cups and design systems to help eliminate single-use plastic cups at the event. 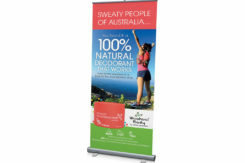 Pop-up display banner for the funky team at Bettercup. 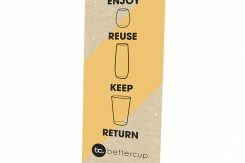 They create reusable cups and design systems that help you eliminate single-use plastic cups at events! Kerry is a passionate health and wellness educator. Starting with the basics in family pantries and helping clients to identify unknown ingredients in labels. She wanted a logo that was friendly, bubbly and memorable. We nailed it! We wrapped everything up into a neat, sophisticated logo. And we’re very proud. As is Helen. 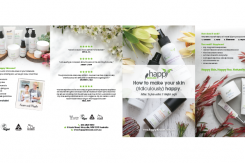 A mini brochure with maximum impact for Happy Skincare to include within their product shipments. Clean, sophisticated, balanced and beautiful! 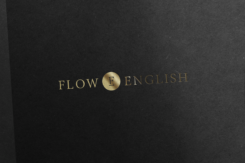 When Talei at Flow English came to us, she wasn’t sure what direction she wanted to take the business. She used our Brand Workbook to help break down her goals and feelings. Then we worked together to build a mood board which helped to further her direction and our understanding. Together, we bounced back and forth until her logo was just right. And it’s PERFECT. The Health and Lifestyle Education Program is Australasia’s most experiential and dynamic, 16 modular online program teaching the importance of self-care using the healing and medicinal properties of plants. Taught by leading aromatherapist and environmental health expert Kim Morrison. The Brain Tree Trust is a logo concept for educating the agriculture industry on future growth and ethical farming standards. This design uses a unique ‘tree’ with a subtle brain shape to its leaves. 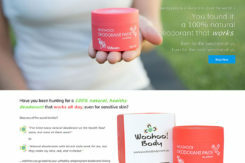 Website front-end homepage design for Woohoo Body’s Shopify website. The ABTA is a not-for-profit charity, devoted to supporting women who have sustained physical or psychological birth trauma. They asked for a logo based on their previous imagery with a new exploration into colours and fonts which appeal to their community. The result is restful, friendly, feminine and supportive. Lauds is a plant-based food company, passionate about creating solutions to the problems caused by the consumption of animal products. Their products help consumers lead a more environmentally conscious and healthier lifestyle while still being able to indulge in the food they love. This team needed a logo which appealed to everyday consumers as well as all professionals within the food production industry. It needed to be sophisticated, easily identifiable and it was important to the Lauds team that the final design didn’t come across as too organic or artsy. Woohoo Body are all about the ‘WOOHOO’! They are fun, adventurous, quirky and completely natural. This team needed a pull-up banner for their upcoming Vegan Festival and we came up with the goods. 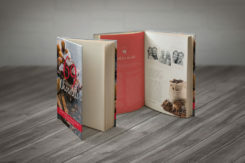 Twenty8 are a natural company and this eBook was designed for organic good treats. 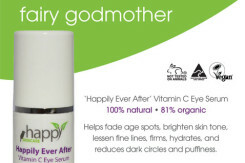 Happy Skincare are a completely natural, organic, cruelty-free skincare range made in our very own NSW, Australia. They wanted a lovely postcard to add to their product deliveries. 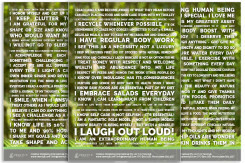 Twenty8 Aromatherapy & Skincare are all about organic and natural, so they give out beautiful Manifesto Cards with each order, that are filled with uplifting mantras for every day. The cards needed to be all about the words and very natural. So we made big beautiful sentences with the nature of leaves filling the entire background. Beautiful! Twenty8 Aromatherapy & Skincare is an all natural, beautifully organic boost for our bodies. They had a DL Flyer which needed a facelift, so we delivered! Twenty8 Aromatherapy & Skincare is an all natural, beautifully organic boost for our bodies. They had an eBook which needed a facelift, so we delivered! 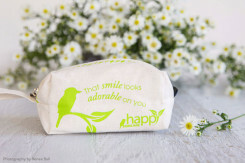 The team at Happy Skincare were putting together a cosmetic bag as gifts to their clients. 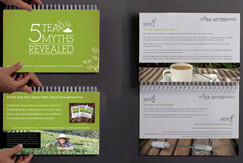 They had a limit of single colour and wanted something simple, but the design still needed to reflect their brand and feature an uplifting message. 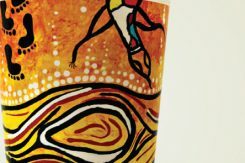 At Ethicre, we incorporated the Kookaburra from the Happy Skincare logo, and flowed the uplifting speech from its beak to bring it all together beautifully. A little pattern is then made from the leaves in their logo along the zipper for more beauty. 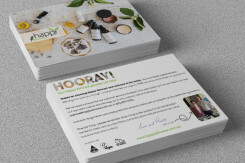 Happy Skincare are a completely natural, organic, cruelty-free skincare range made in our very own NSW, Australia. They already had a pre-existing brand but wanted a little sprucing-up for their next magazine advertisement. We worked with them to simplify the design and created a beautiful, professional quarter page advert for Nature and Health magazine. In 2014 at Milnor Park NSW, a beautiful event was held where the public were welcomed to hot air balloon rides, with all proceeds going to research into the Autism Spectrum. They requested a logo which was artistic and simplistic, appealing and bright yet very natural and aimed to attract people of all ages. We think we nailed it – and they agree. We loved working with CHFA on these promotional items. 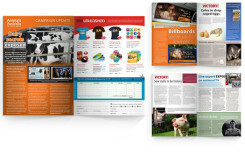 The project included an A2 poster, a double-sided DL flyer, a trifold brochure and a company newsletter. 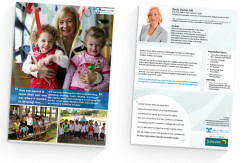 This project was a volunteer assignment to help Animals Australia put together their 8 page Campaign Magazine. What an honour it was to contribute to such a successful and worth-while organisation! 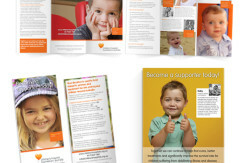 Hear and Say WorldWide aims to prevent, identify and treat hearing loss in babies and young children across Australia and internationally. 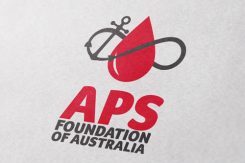 The Leukaemia Foundation is the only Australian not-for-profit organisation dedicated to the care and cure of patients and families living with leukaemia, lymphoma, myeloma and related blood disorders. 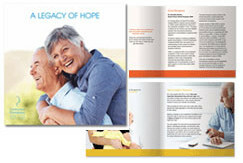 They wanted a brochure which was professional, clean and inviting for their bequest requests. 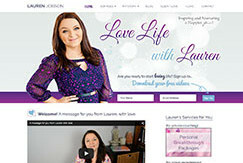 Lauren is trained in NLP, Hypnosis and many other self-help practices. She loves assisting people connect with their own unconscious minds to gain self love & have passion in their life. We adored working with such an open-minded gal who was thrilled with her new website. Stone Ground Tea is 100% pure, raw, fresh, organic, premium tea leaves – grounded. Owned and run by the magnificent Henry Kater; his love of Stone Ground Tea started in 2012 when his wife was diagnosed with ovarian cancer and together they discovered its amazing healing properties. He wanted a brochure which was traditional and natural. Stone Ground Tea is 100% pure, raw, fresh, organic, premium tea leaves – grounded. Owned and run by the magnificent Henry Kater; his love of Stone Ground Tea started in 2012 when his wife was diagnosed with ovarian cancer and together they discovered its amazing healing properties. He wanted a brand, including product packaging and labels which were traditional and natural. 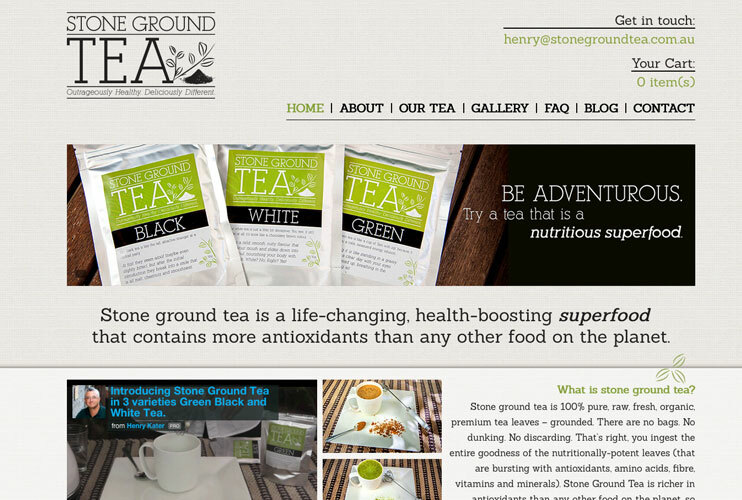 Stone Ground Tea is 100% pure, raw, fresh, organic, premium tea leaves – grounded. Owned and run by the magnificent Henry Kater; his love of Stone Ground Tea started in 2012 when his wife was diagnosed with ovarian cancer and together they discovered its amazing healing properties. He wanted a logo which was traditional and natural. 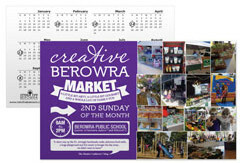 A collective of residents from the suburb of Berowra in Sydney NSW who aim to regenerate arts & culture in their community. This collective wanted postcards to pop into local’s letterboxes. The cards should have a crafty, creative and interesting flair. For this reason, the use of word-art was a great feature! Social Nature helps conscious businesses to amplify their message on social media and connect with their online communities. 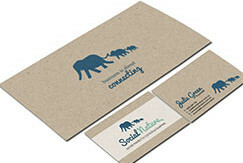 Julie (owner) wanted a range of stationery that displayed strength, friendliness, sociability, nature and professionalism. 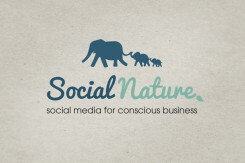 Social Nature helps conscious businesses to amplify their message on social media and connect with their online communities. 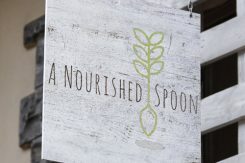 Julie (owner) wanted a logo that displayed strength, friendliness, sociability, nature and professionalism. 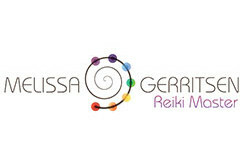 Melissa is a certified Reiki master. She wanted a logo which was energetic, flowing and used the colours of our chakras. 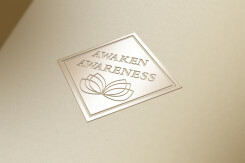 Awaken Awareness provides outstanding personal breakthrough sessions, workshops, seminars and trainings in NLP, Time Line Therapy™ and Hypnosis that allows children through to adults create amazing lives for themselves, whilst having fun in the process. 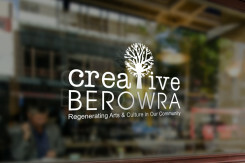 A collective of residents from the suburb of Berowra in Sydney NSW who aim to regenerate arts & culture in their community. This logo is formed from hands, forming the branches of a tree, because Berowra is known as a bushland suburb and comes back to their slogan of regenerating and renewing life. 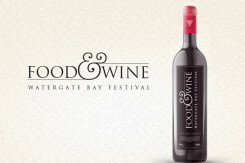 Watergate Bay is renowned for its organic food & wine festival. It boast a weekend full of scrumptious local, organic foods and national organic wines of all types. Matt and Andy cycled around the world from London to Sydney in support for the charity War Child with an aim to raise at least £50,000. 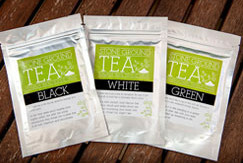 Stone Ground Tea is 100% pure, raw, fresh, organic, premium tea leaves – grounded. Owned and run by the magnificent Henry Kater; his love of Stone Ground Tea started in 2012 when his wife was diagnosed with ovarian cancer and together they discovered its amazing healing properties. He wanted a website which was modern, friendly and held character. "Walk with the dreamers, the believers, the courageous, the cheerful, the planners, the doers, the successful people with their heads in the clouds and their feet on the ground. Let their spirit ignite a fire within you to leave this world better than when you found it..."